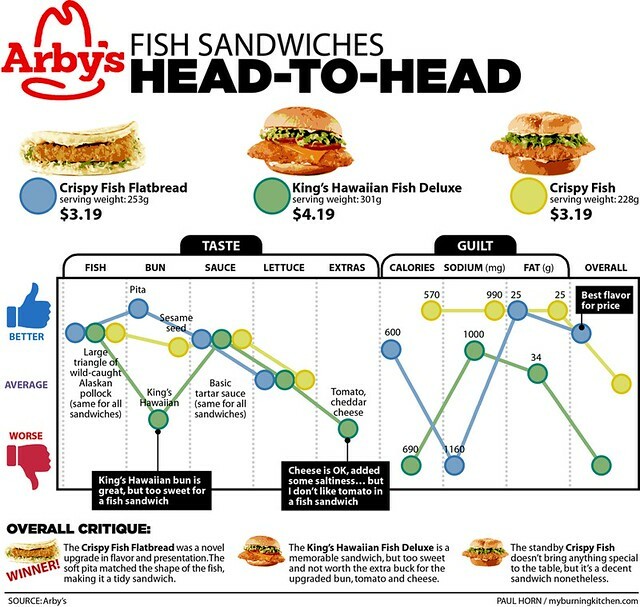 Closing off this season’s Friday Fast-Food Fishtaculars is a round up of Arby’s three fish sandwiches (the only chain I’m aware of that has three fish sandwiches on the menu simultaneously). I figured the best way to prevent redundant critiques on flavors, portions and prices was to go with a chart. Click on the image to maximize your experience. Read other Friday Fast Food Fishtacular posts here. Taste the Rainbow – in a Bagel!